June 10th – My valiant attempts to ward off another heart attack are in vain and I find myself, in the middle of the night, on an emergency helicopter flight to a Fort Worth hospital. June 17th – After being home only a few days from my Fort Worth hospital stay, heart attack # 4 rears its ugly head and I, once again, can’t stave it off with aspirin and nitroglycerin. Another helicopter flight and another stay in the hospital. This heart attack was different in a multitude of ways and the first one where I really thought I wouldn’t survive. June 27th – My youngest son’s last birthday as a teenager. While a joyous time, it was difficult because even a brief time outside in the Texas heat worked on my heart in a negative way. 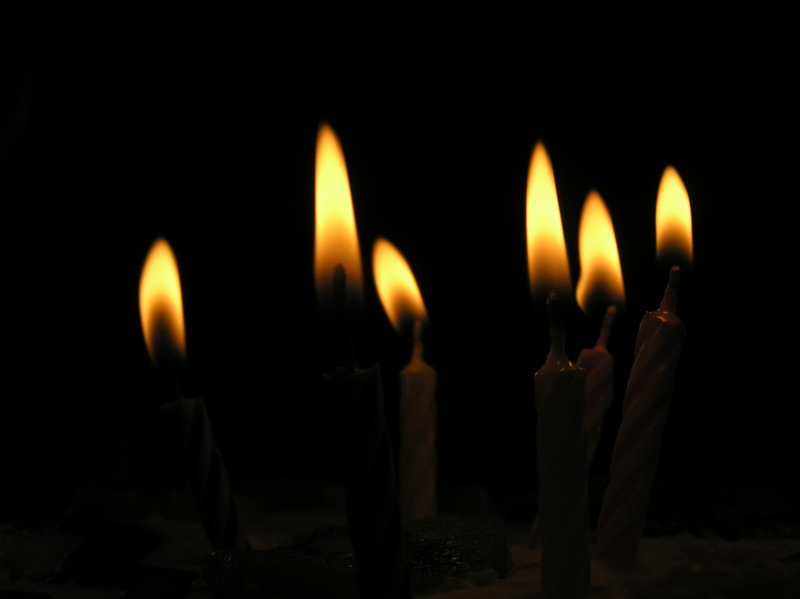 July 2nd – My brother’s birthday and the anniversary of my mother’s death. Since the latter occurred on my brother’s birthday, we, as a family, have always sought to make it less somber by going to watch the Rangers play baseball. I still wasn’t sure if I could handle the heat, but with the help of my family, I made it. It’s my brother’s last birthday celebration. August 2013 – The youngest leaves for college; the middle child starts her last year of grad school; the oldest is promoted and moves to a new home; the latter’s dog comes to visit for an extended period of time and I find out, quite surprisingly, that I will be giving myself stomach shots twice a day every day and that I have a blood clot in my heart, putting me at risk for a stroke. I have to eat a very strange diet during this time. September 2013 – Partially to keep myself from going insane and partially because I believe in keeping my promises to God, I arranged for 10 of my friends and I to attend Women of Faith. It was a tearful event, basically because I couldn’t believe I was still alive. October 2013 – Two of my friends are diagnosed with breast cancer and unfortunately, neither one of them were diagnosed as Stage 1. But the best news is that they seem to be doing fine and hanging in there just as I knew they would. November 2013 – My last Thanksgiving with my brothers together in my home. We knew my brother was having to really slow down while eating, but he had been checked out earlier and the fall and the doctor had pronounced him healthy. December 2013 – My brother was diagnosed with esophageal cancer. Christmas was poignant to say the least and my research told me he was fighting an uphill battle at best. He arrived at my house with his head shaved and hat on, feeling it would be easier to take baldness if he had some control over it in the beginning. Again, without knowing it, it was my last Christmas with him. January 2014 – My brother is in and out of the hospital repeatedly with complications, despite trying to be meticulous in following his doctors’ instructions. February 2014 – My brother makes the decision to “pull the plug.” He moves to hospice care. February 27th – My other brother and I tell my brother it’s okay for him to go. His breathing grows farther and farther apart. It’s my last time to see him. February 28th – My brother dies. March 8th – My brother’s memorial service. It’s a time of laughter and fond remembrance, but it is still difficult for all those who attended. March 9th – May 5th – My other brother and I clean out my brother’s home and say goodbye to “the House of Tears” as my other brother calls it. May 9th, 10th and 11th – My daughter graduates with her master’s degree and those festivities are quickly followed by Mother’s Day. While I am so, so grateful to see her graduate with all of her friends, the brother who always celebrated those graduations with us and often celebrated Mother’s Day with us, is painfully absent. While I’m grateful to still be walking and talking, I am squelching tears as I write this. I know, all too well, from having grieved other family and friends who have already gone on to Heaven, that this coming year will be difficult for me simply because I have a few more “anniversaries” to get through. And I also know that more and more things of this nature will probably continue to take place. At my age the passing of friends and family is simply inevitable. It will happen with more and more frequency and more and more depth of pain. With this reality ever present now, I do my best to remind myself that I am one blessed woman. Grief and tears are actually a blessing. They are an indication that we love a lot and have been loved. It’s an acknowledgement that my joy will never be complete until it’s my turn to journey to Heaven. And I am blessed to be an American, live in a nice home, in a nice town, with plenty of comfort. I’m blessed to still be surrounded by a wonderful husband, wonderful children and a wonderful extended family and great friends. Even so, if I don’t smile as much this year, if I don’t crack jokes as much on MIP this year, if I seem a little preoccupied this year, you’ll have to forgive me–I don’t do grief well. I know I have much to learn in this phase of my life and probably the most significant thing to learn is to still smile, to still celebrate, and to still cherish those whose presence I’m still privileged to enjoy. Thank you all for giving me a reason to smile, to celebrate and to cherish. This entry was posted on Wednesday, June 11th, 2014 at 10:50 am and is filed under God stuff. You can follow any responses to this entry through the RSS 2.0 feed.